Read an interview with co-founder and Director of Sales Lindsay Reinsmith on why she and her husband Jason created Ada Diamonds, the world’s leading luxury purveyor of laboratory grown diamonds. 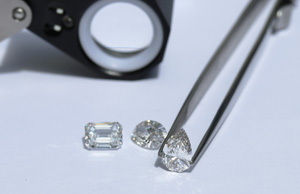 Our Diamond Concierge loves delivering exceptional custom lab grown diamond jewelry to our clients. In order to keep your lab diamond fine jewelry shining as brightly as the day you received it, regular care and cleaning is a must. See below for our tips on keeping your engagement ring and fine jewelry shining like new.